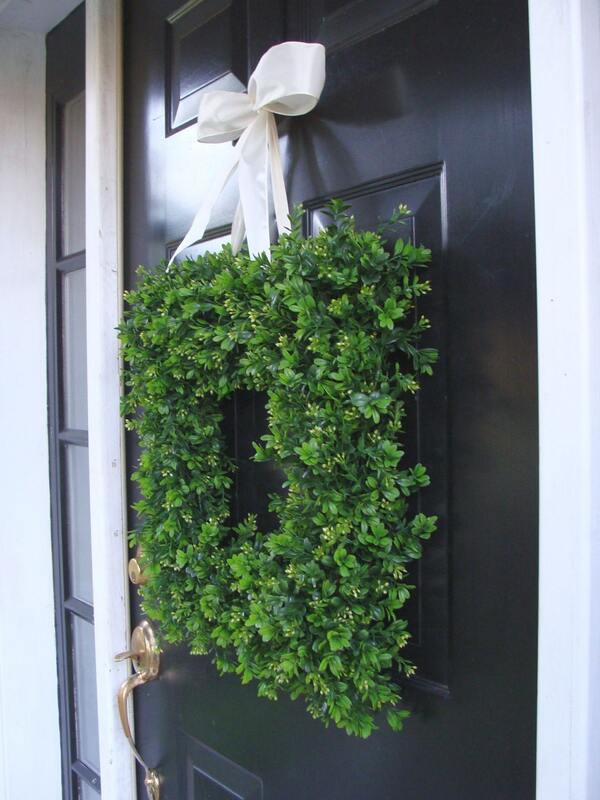 An 18 inch square artificial boxwood wreath hung by any ribbon you choose. Very full, lush, durable, realistic plastic boxwood wired to a metal frame. Total height measures 22-23 inches with ribbon. 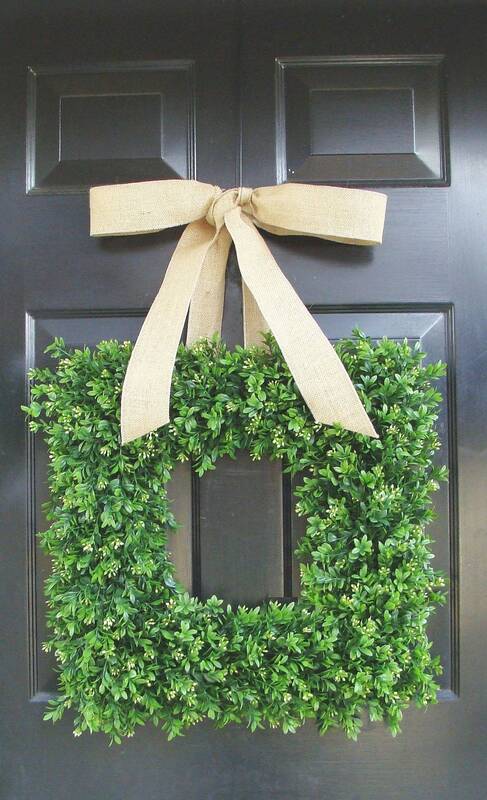 A vinyl coated green metal wreath frame will stand up to the elements. 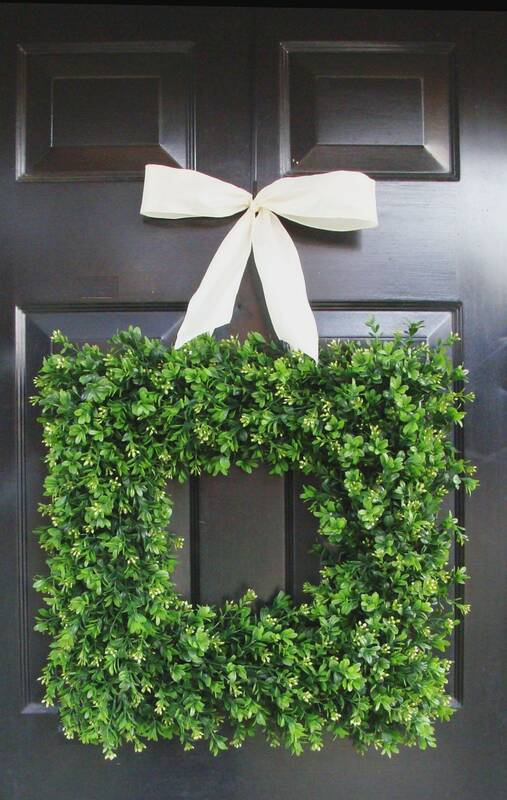 This wreath is thin enough to fit in between a storm door and can with stand the summer heat because the wreath is 3-4 inches deep and only wire is used. Just as described- was a housewarming gift and they love it! Nice wreath, as pictured. If considering the monogram letter to go with, I do not recommend it, but the wreath itself is nice. Perfect for my wedding! Can't wait to use it.